When it comes to the health of your family, choosing the right dentist is just as important as having the right doctor on call. Of course, when looking for a dentist on the internet, you’re instantly given thousands of search results you need to sift through. 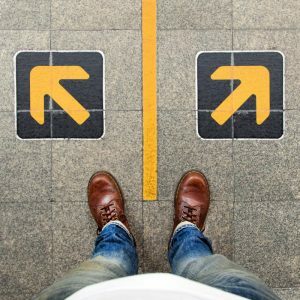 You simply don’t have time to read through all of these sites—isn’t there a faster way to figure out if a dentist is right for you and your family? Fortunately, there is! Here are the 3 key things you should look for when choosing a dentist in San Marcos. Every single dental practice site will have a bio for the doctor (if they don’t, run away and never look back!) where you can learn about where they went to school and how long they have been practicing. 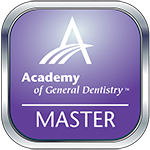 In addition to attending a credible sounding dental school, you want to see that the doctor has pursued additional education as well at institutions like the Academy of General Dentistry or the Las Vegas Institute of Cosmetic Dentistry. This will let you know that they are continuing to expand and improve their skillset in order to provide better and better care for their patients. That way, you can know that they are always at the top of their game. This will show you what specific treatments a practice actually offers. By looking at their services page, you’ll be able to answer essential questions such as, “Do they provide everything I need?” and, “Can they help everyone in my family?” Look to see if they offer standard preventive care (checkups, cleanings, etc. ), restorative care (crowns and fillings), cosmetic services, and more. The more services they offer, the better because that means you won’t have to go anywhere else to get your dental care. Also, look for any specialty services like laser or sedation dentistry. Of course, when thinking about dentistry, you have to consider cost as well. Look to see what insurance plans a practice accepts as well as if they have any financing options. Does it seem like they’ll do anything to make your care more affordable? Are they willing to talk to you about it? This will let you know if the practice is all about meeting your needs first before theirs. Hopefully this little guide will help you quickly sort through the endless search results and find the right dentist for you and your family. If you’re ever on the fence about a certain practice, it’s always a good idea to just give them a call and see how you’re treated on the phone. This will instantly let you know just how friendly the practice is and give you a chance to ask more specific questions. Once you find the perfect one, be sure to schedule an appointment, and you’ll be able to arrive with peace of mind and leave with a beautiful, healthy smile! 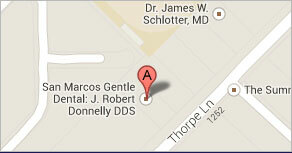 Dr. J. Robert Donnelly is a family, restorative, and cosmetic dentist based in San Marcos, TX. He currently practices at San Marcos Gentle Dental, and he loves how dentistry gives him the opportunity to improve his patients’ health, appearance, and confidence all at the same time. If you would like to contact Dr. Donnelly, he can be reached through his website or by phone at (512) 396-5225.